The new ERWEKA ZT 121 Light disintegration testers are the perfect entry-level disintegration testing machines, with one motor driven USP/EP/JP compliant test station. 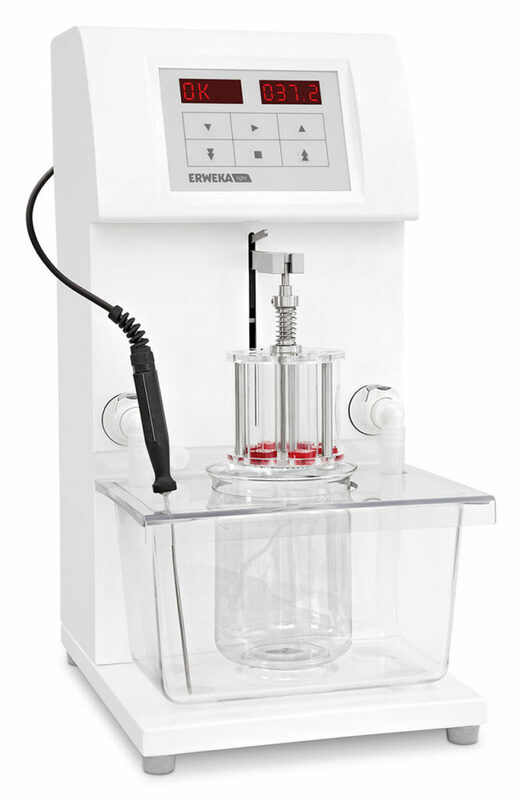 This compact disintegration tester is equipped with an integrated flow-through heater and a moulded one-piece PET water bath (no leaking / breaking, easy to clean) and cover. The ZT 121 Light is easily operated via a built-in membrane keypad. Defined test run parameters such as run time and water bath temperature are entered with symbol keys and the actual values are then shown on large, bright LED displays. The run-time counter automatically starts as soon as the basket rack assembly is lowered into the test media.